Electric cars – the next best thing! Combustion engines require expensive complexity to run at all speeds and loads yet still comply with emission regulations. They need stiff mounts to resist transmission torque. 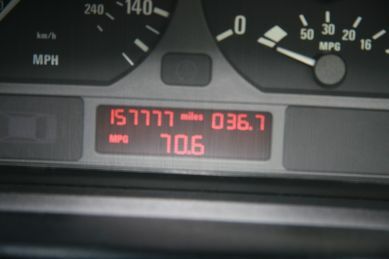 This requires expensive balancing to reduce harshness being transmitted to the vehicle body. They have poor low speed torque and need to be driven hard at modest speed to run efficiently. They need to be powerful to give good acceleration which reduces the efficiency at normal road speed. Electric motors have none of these deficiencies. A small efficient combustion generator can keep the batteries charged up and the range of our car can be into four figures. Can someone please make me a small electric hatchback with a tiny diesel generator to keep the batteries charged up? 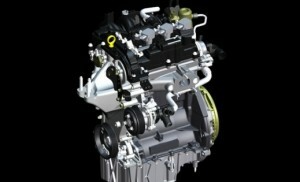 Ford has developed a tiny three pot petrol engine capable of powering its MPV. Contrary to the usual practice of having a wide bore to allow large valves in the head, Ford has used a long stroke engine and overcome the limitations of poor breathing by using forced induction. You would expect this to be a recipe for poor fuel consumption due to pumping losses – yet the laws of Physics seem to have been bent. This engine is claimed to be both powerful and fuel efficient. Shock horror – diesel prices at an all time high! Diesel at £143 per litre, a record high! Relax. Diesel cars are so efficient. Many diesel family cars able to duck under the free road fund licence limit. Petrol car sales are levelling out. This is a bit of a nuisance for oil refining companies since diesel does not need so much refining compared to petrol. Expect an oil refinery or two to go bust later in the year. Clearly this surplus of petrol will reduce its price relative to diesel. Heating oil is similar to diesel and with the recent severe winter experienced in much of the northern hemisphere, there has been a recent drain on heavy oil supplies. Iran cutting off oil deliveries to Europe did not help either. Consider this – if supplies and consumption were absolutely constant, the cost of diesel would rise monthly in line with inflation. What goes up must go up..